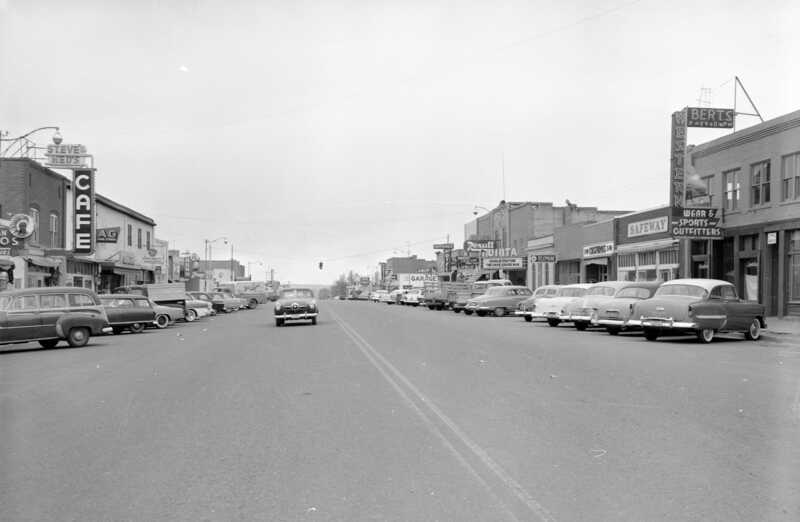 Description Automobiles are parked along Roosevelt Main Street. Businesses that can be seen are, on the left, Steve and Ned's Cafe, GE Appliance Store, andModern Drug. Righ side of the road is Bert's Western Wear and Sports, Safeway, Five and Ten Store, Telephone Company, Uinta Theater, Rexall Drug, Mortensen Hotel, and Pontiac Garage.